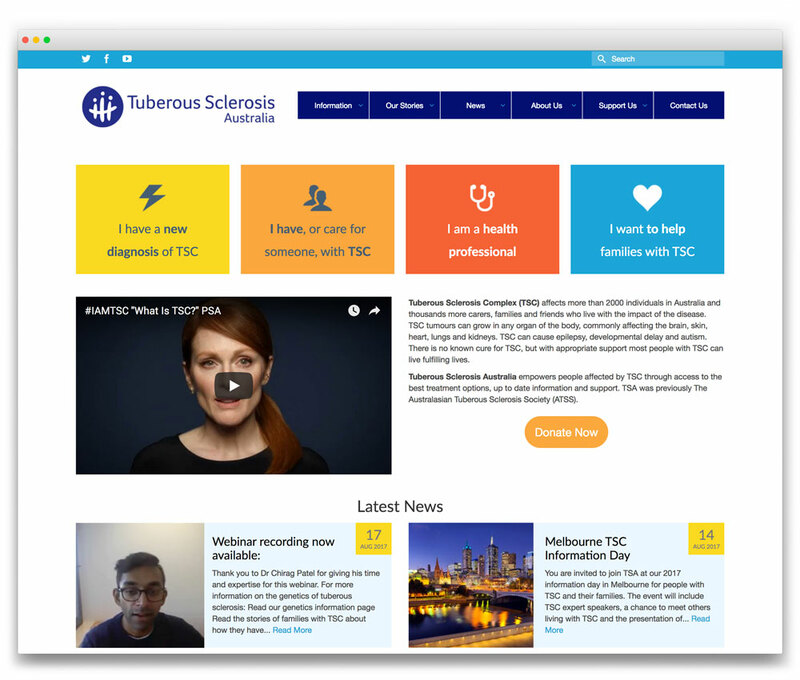 BRIEF: ATSS was relaunching as TSA (Tuberous Sclerosis Australia), and wanted to give their website a complete design overhaul as well as to improve the useability, particularly to better structure the large array of content and make it easier for different user groups to find the information relevant to them. SOLUTION: We worked closely with the client on the structure of the new site. We recommended a range of features, including a mega menu, toggle sections for content-heavy pages, specialised search functionality for resources and we came up with a design that incorporated icons and colours to differentiate the types of information.